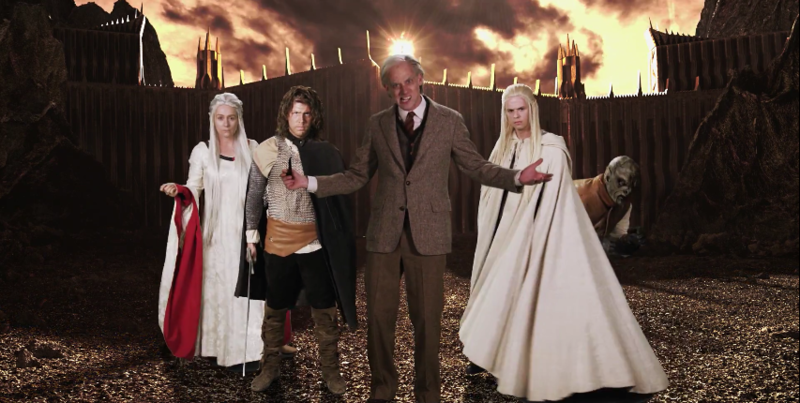 ERB opens the book on season 5 with a battle between Game of Thrones writer George R. R. Martin (played by EpicLLOYD) and Lord of the Rings writer J. R. R. Tolkien (played by Nice Peter), featuring cameos of several characters from each respective series. ERB ended season 4 last year with a battle between Stan Lee and Jim Henson, but over the holidays they made a bonus battle between Deadpool and Boba Fett to tide fans over until the next season. Over the break, when production of season 5 had just started, Nice Peter announced on a podcast that he was going to be studying J. R. R. Tolkien for next season. 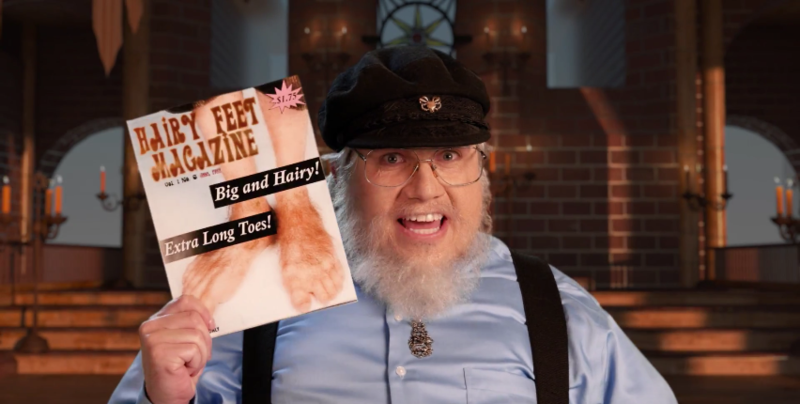 The forum quickly concluded that his opponent was likely to be George R. R. Martin. This was one suggestion that was popular not only among ERB's youtube fanbase, but inside the forum community as well. When the match-up was confirmed, it was met with universal excitement from the forumers. Pretty damn hyped for this one, it's actually one of the ones that I've always wanted them to do. Awesome! I'm definitely down for this being the premiere.